This year I have really been focusing on my health- going outside, being active, and most importantly, getting the right nutrients every day. If you know me, you know I love superfoods, supplements, and pretty much anything health/wellness-related! That’s why I was so excited to receive my latest haul from DR Vitamin Solutions; they share my values, cater to those aforementioned interests, and carry items I would never know existed otherwise! I have been fascinated with the Pineal Gland and its connection to our daily lives for years, this is why I was interested to review RemedyLink Satori. Physiologically speaking, this gland is responsible for reproductive hormone regulation, melatonin production, and the maintenance of circadian rhythm. (1) Various cultures around the world have revered this small pinecone-shaped gland found in the brain’s middle for its ability to kindle “connection with spirit”, high levels of consciousness, awareness, and clarity. When the third eye or pineal gland is neglected, it’s said cynicism, negativity, uncertainty, and feelings of confusion can run rampant. Of course, in learning this, I sought out ways I could pay attention to this important organ. I never actually knew supplements existed to help you progress spiritually for so long though. I believe that’s because they are far and few between; it is truly hard to find one worth investing in that has a true effect on you. When I decided to try out the Remedylink Satori Supplement I was surprised by its packaging. If you just so happen to not have all your gifts sorted out yet this year, fear not! I have a multitude of ideas focusing on giving gifts that support a healthy lifestyle, don't harm the planet, and help the people you care about save time! Stainless Steel Straws: These straws are perfect for those who want to be prepared for on-the-go smoothie stops and more! The cleaners are included in this set, and it comes in a bamboo travel case you can throw in your purse. I've used stainless steel straws in my apartment since I moved in, but bringing them with me became so much easier with the case this set includes. 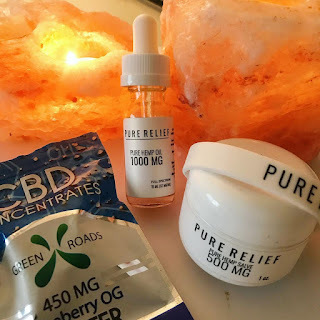 CBD: This is the perfect gift for anyone who suffers from anxiety, seizures, or even sleep issues. We all know this phytocannabinoid is beneficial in more ways than one; let's be honest, if you're reading this, you've probably heard me rant about it a couple of times. I linked my favorite site where you can get 25% off all the time with code "TIFFANY"- that's right, I hooked it up. So go grab your oils, pet treats, pain salves, and vape pens! Essential Oil Diffuser: Another great option for the aromatherapy lover in your life is a diffuser! If they already have one, consider getting them a set of essential oils to use throughout the next year. This is the perfect gift because it humidifies the air (relieving dry sinuses and cough), improves sleep, boosts the immune system through increased white blood cell creation, and can take the place of a candle! Natural Calm Magnesium: This is a must-have for me! I've linked to a 16oz container of the supplement; essentially you mix this in with your water whenever a bout of anxiety or stress comes up and it helps to rebalance your physical response as well as your sense of, well, calm. These also come in packs with 30 small packets to throw in your bag or vehicle, which can be extremely helpful! Pixel Computer Glasses: Pixel Eyewear is the only business I've ever seen that creates glasses to filter out blue light. I think we can all agree our screen time interferes a little with sleep and even causes headaches for some of us. 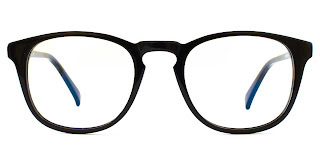 Luckily, these screen glasses filter out the blue light that disrupts melatonin production at night and causes migraines, all while remaining smudge-free and glare-free. My pair is the Capra style in Black! I was able to ask for a discount my followers can use to save some money, so get $5 off a pair with code "TIFFANY"! Mushroom Mochas, Elixirs, and Hot Cocoas: If you take a look at my beverage cabinet (is that a thing?) you'll find an alarming number of mushroom supplements from Four Sigmatic- undoubtedly accompanied by a few pounds of tea. From their Hydration Blend to their Chill Hot Cocoa with Reishi, I can confidently say I'm hooked. 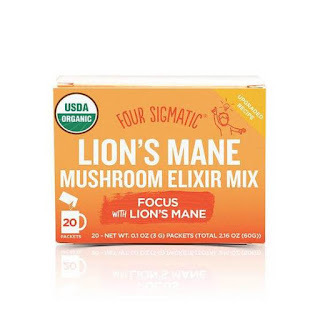 If you're not really sure what all the fuss is about, mushrooms are basically adaptogens helping you to cope with stress and more every day. While mushrooms might not sound tasty, you can't really taste them when in chai, matcha, cacao, and coffee mixes. Fight inflammation, free radicals, and more with the gift of mushrooms! Snag a discount with code "TIFFANY"! Another great gifting avenue is giving someone a subscription to a service they'd love and use. This is obviously something that varies from person to person, but I've listed some ideas below! These are the best kind of gifts because they keep on giving all year long- and you don't even have to wrap them! I genuinely love this subscription box and look forward to sharing it's contents every month; if you're curious about what they typically look like, take a peek at my Instagram! Each is full of crystals, self-care items, aromatherapy, and healthy (but delicious) snacks! They also have a shop on their site with individual items for sale you can take a peek at. I may just be a total dork but honestly signing up for classes outside of my schedule at Florida State is a treat for me! If who you have in mind is a lifelong student and loves picking up something new, consider treating them to a partial or full subscription to Lynda or Skillshare! These are amazing because you aren't limited to just one course you purchase at a time. Udemy is another related site I love. It doesn't have a membership, but they have sales on their entire site of courses from time to time; as I write this, they have all their courses knocked down to just $11.99 (yes, even the $200-$300 ones)! Audible is the leader in audiobooks, with over 400,000 titles available. Give the gift of knowledge with a subscription allowing whoever you have in mind to expand their mind while saving time. Alternatively, a Prime subscription provides free two-day shipping, thousands of titles with Prime Reading, movie and TV show streaming with Prime Video, and much more. Either of these would be appreciated, I'm sure! Give the gift of clarity and a calm mind with apps like Headspace! This one, in particular, is full of guided meditations and morning reminders. Even if you don't want to gift this, I'd absolutely recommend giving the free trial a go for yourself! Other meditation apps you can check out for gifting are Calm, 10% Happier, and Stop Breathe and Think. If gifting a subscription to one of these isn't for you, another related option would be an iTunes or app store gift card to Buddhify (I believe the full price of the app is under $5 and has over 80 guided tracks). Lastly, if you're on the lookout for a free one to check out rather than gift, take a look at Insight Timer or download the Musi app to add guided meditations from Youtube to your playlists. Depending on what platform the person you have in mind prefers, think about gifting them an upgrade or extension of their favorite music streaming service's Premium plan! What's more to love than ad-free music when the average modern person sees upwards of 5,000 advertisements in a single day. This service is free and I use it daily to organize my thoughts, ideas, and even my shared shopping lists with my roommate. However, if your loved one is an entrepreneur/business owner they could possibly benefit from the Business Class subscription. It essentially allows integration with other Google Hangouts, MailChimp, Salesforce, and Evernote. If you have someone in your life who is constantly working on graphics, then consider gifting a Canva for Work upgrade! This gives the account access to hundreds of thousands of free photos and graphics and allows for custom branding. The final section of this gift guide is intended to encourage you to give memories, which are truly priceless. What follows is a list of examples to help with brainstorming, but if you have another idea leave it below in a comment and I'll add your contribution to the list!